Har HaShem’s Sunday morning Kindergarten-8th grade religious school program enables students to develop a foundation of and appreciation of Jewish learning as part of a vibrant, active community. Sunday morning students spend time together learning the grade level curriculum, participating in Hebrew Through Movement sessions and a weekly t’filah (worship experience), and creating bonds that we hope will last a lifetime. These bonds can be enhanced by family participation in our annual grade-level family education programs and the many youth group (3rd grade-high school) and holiday events. Students get to experience an organic celebration of Jewish time and Jewish community as they join together for a family style lunch, birkat hamazon (the blessing after a meal),shira (a song session), rikudei am (Israeli dancing) or other fun Jewish cultural activity. Our energetic faculty lead these programs, creating a camp-like atmosphere of Jewish community and expression above and beyond the classroom experience. Family School at Congregation Har HaShem is an innovative curriculum and joint learning experience for parents and children together. Meeting one Saturday afternoon a month and attending Shabbat services monthly, families study and experience Judaism together. During our time together, we will sing, study, hike, paint, cook, enjoy potlucks, make havdalah, and pray together as families. As part of the Saturday gathering, everyone shares the se’udah sh’lishit, the last Shabbat meal in the form of a group potluck dinner and havdalah, a short ritual that concludes Shabbat. At Har HaShem, we have an Individualized Hebrew Tutoring Program. Students studying towards b’nai mitzvah must participate in Hebrew prayer learning. In addition, our Sunday morning religious school students receive an additional Hebrew boost through our Hebrew Through Movement Program and our weekly t’filah (worship) services. 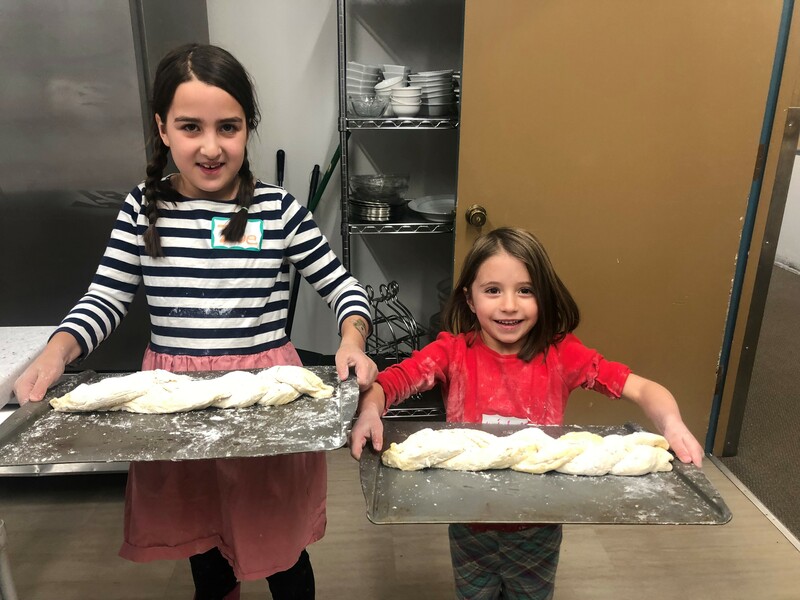 In our individualized Hebrew program, families take ownership over their child’s Hebrew journey, creating a learning plan in partnership with Har HaShem staff. In an initial meeting with the Director of Lifelong Learning, families discuss goals, the child’s learning style, and the role that they hope Hebrew and prayer will have in their child and family’s life. Families choose from four customizable Hebrew learning options. Once the option is selected, the Director of Lifelong Learning will help the family engage a m'amein (tutor/mentor) to work with each child. The more expansive the family goals, the more tutoring time will be needed. All options include Hebrew decoding (the process of reading Hebrew by sounding out letters and vowels through the Let’s Learn Hebrew Program), Saturday morning prayer preparation, and memorization of Torah and Haftarah portions. Families participating in the individualized program are also required to attend at least one worship service each month during the academic year.